The first thing you'll notice when using Australis is its curved tabs and the clear distinction between foreground and background tabs. 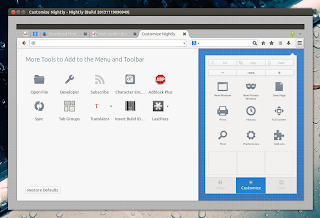 Unfortunately, some customizations were removed with the introduction of Australis: you can no longer hide the toolbar, the addon bar has been removed, there's no longer an option to use small icons and text+icons mode in Firefox and the option to create a custom toolbar was removed. Australis, announced back in 2012, was initially supposed to land in Firefox 24 but was delayed quite a few times. 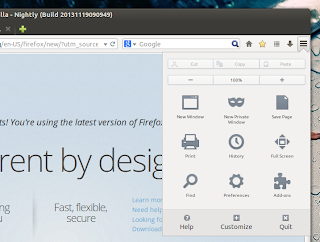 However, since it landed in the latest Firefox Nightly, it will most probably be available with Firefox 28 which will launch March 4, 2014. Australis has just landed in the Firefox daily PPA so if you use Ubuntu, you can easily install it using the commands below. It's important to note that installing Firefox Nightly from the Firefox daily PPA doesn't overwrite your current Firefox installation, so you can have both Firefox stable (or beta) and nightly installed in the same time. 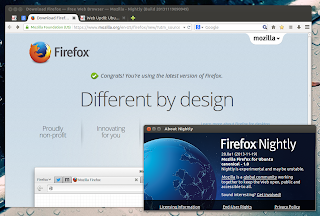 If you're using a different Linux distribution, Windows or Mac, grab Firefox Nightly from HERE.